Wonderful murals. 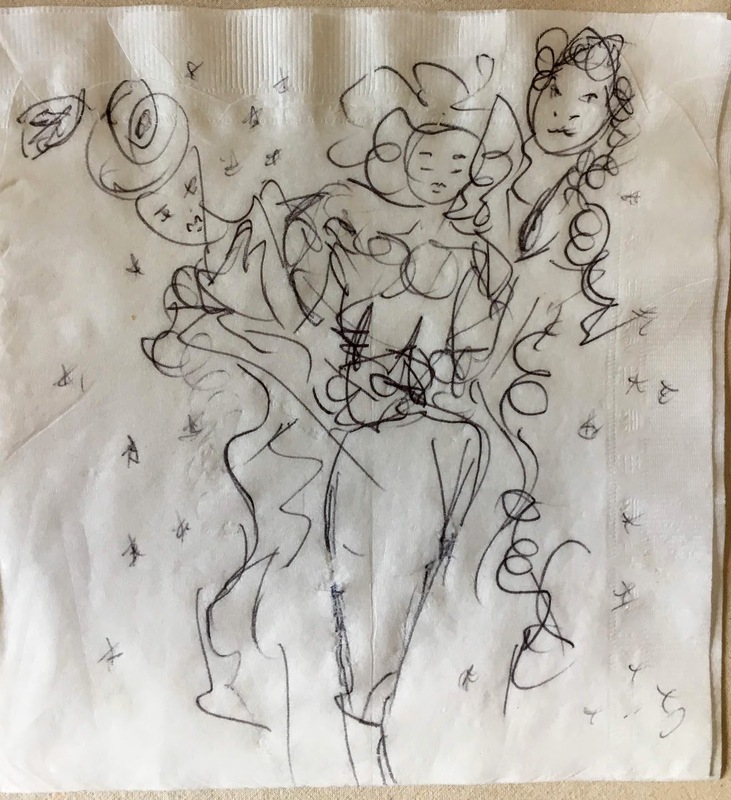 Super napkin drawings. Damn those eyes really appear as if they are looking back at you. Kinda creepy in its beauty. This artist did a wondeful job here. … eye kisses from me…. to you! Uch… Bayer, now also Monsanto. Soon we will be a 1 corporation world. I can bayerly believe it! Uch! Fabulous Street Art. I love it. The colors are so rich and it’s beautifully done. Love your napkin art as well. 🙂 Excellent. It is good alley art. I’m heading out for an adventure tomorrow. Wish me art! 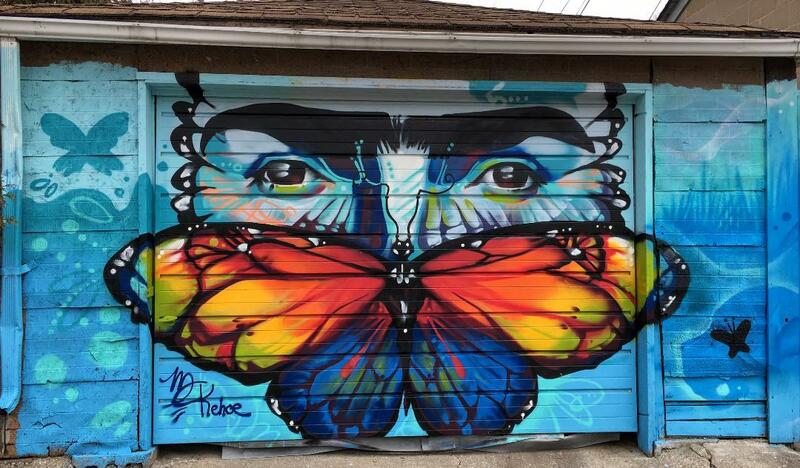 Gorgeous wall art , I love butterflies. I didn’t know that the monarch was second behind the bee in pollination . InlovecMonarchs! Love your art work too , esp #2! Love. It!! Yeah, the Monarch is mighty important. Of course man has driven down their numbers (and the bees) with insecticides, herbicides and other pollution. I live on a Monarch migratory path. When I moved here18 years ago, I would see clouds of Monarchs during migration season. Now, I see a few each year. We planted some milkweed in the back. It’s the only plant they reproduce in. Also, there’s a butterfly sanctuary not far from here, on the Lakeshore, but it’s not enough. Yes, man is the most destructive animal and a threat to all other species here on earth. We are a very arrogant ruthless race! I love Monarchs , so beautiful , my grandma had a huge butterfly garden just full of the big Monarch, one day I caught one and when I let go his colors were on my fingertips, I cried. I love the poem Milkwood, it is one of my favorites. I understand why you cried. You learned a lot of humanity in that moment. I forget that poem. I’m going to look it up now! Wonderful! And the Monarchs are migrating! The drought stopped this, but they are here now in the thousands! Yay! I’m on a migratory path. I used to see clouds of Monarchs, but not for the last 10 years. Maybe they will replenish here, as well. Although, it’s not drought here, it’s pollution and chemical herbicides and insecticides. Yes…have pen and have butterfly will travel! I complimented both: ‘excellent butterfly’ = garage door +’and napkins’ means that the napkins are also excellent. 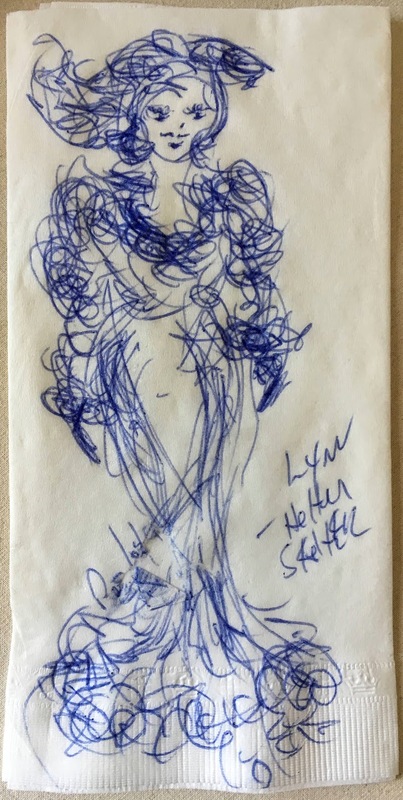 Maybe you should have posted the napkin art separately in order to avoid dilution of compliments . 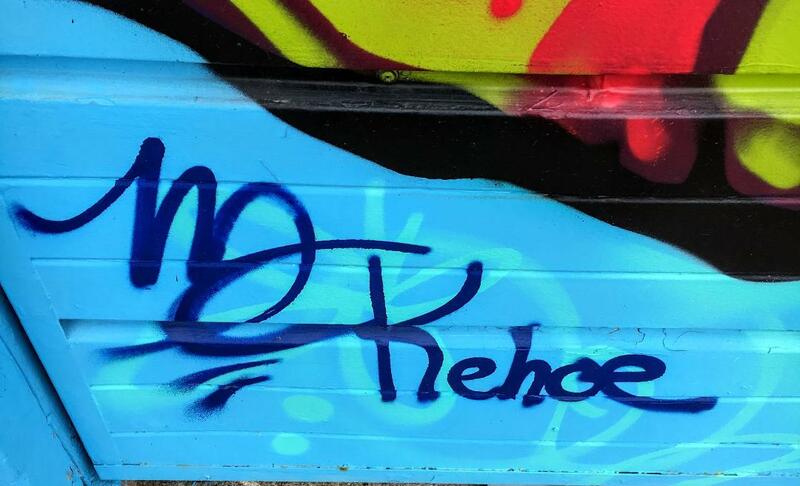 Do you do street art yourself by the way? You went to a music session? I think you should take up the drums. Or the violin. Or hawk your napkin art to them to the musicians to a pretty penny. Well, I was thinking of slapping around a tambourine, but I gotta tell you, the musicians are in the A+ category. My tambourine playing isn’t even in a category. Hey, they were impressed with the napkin art! Good enough for me! Butterflies have always been a prism of beauty and life on it’s own; so much we can learn from them and their cycles. The graffiti is beautiful, I love the way it feels so natural to the wall, as though it was not sprayed on at all, but the wall was simply made that way. The napkin drawings are beyond lovely as well! I love butterflies (said every woman ever! 😂) can’t wait to see more. 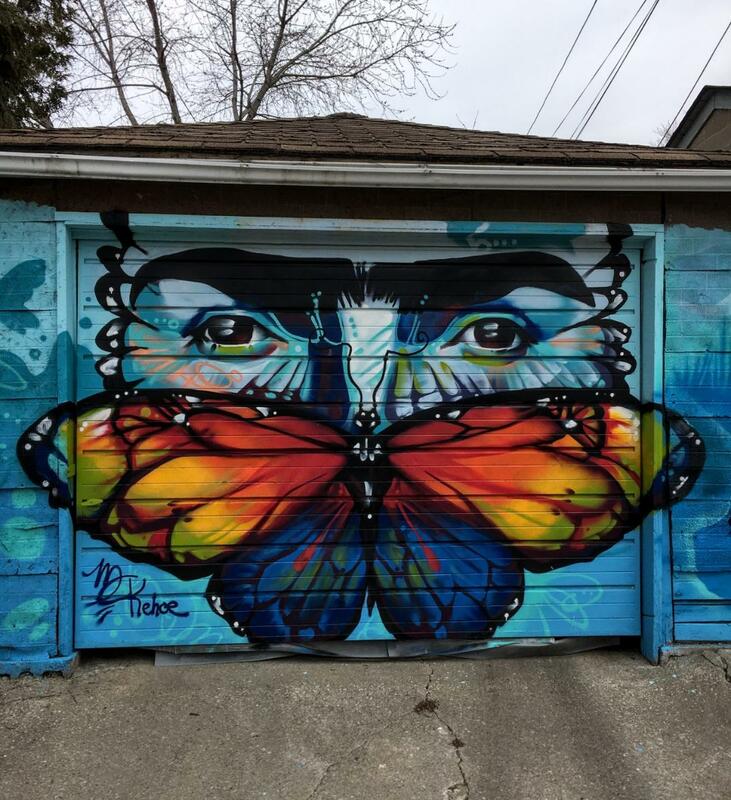 Will you post your own butterfly art work or just others’? Please say your own! I liked the last sketch of yours the most. Not sure why..the two people I guess it felt like a dance. I’ll try to post more of my work. Have you been to Art Gowns? There’s lots of my work over there. I haven’t but I definitely will! Butterfly beauty! And the napkin art is superb. 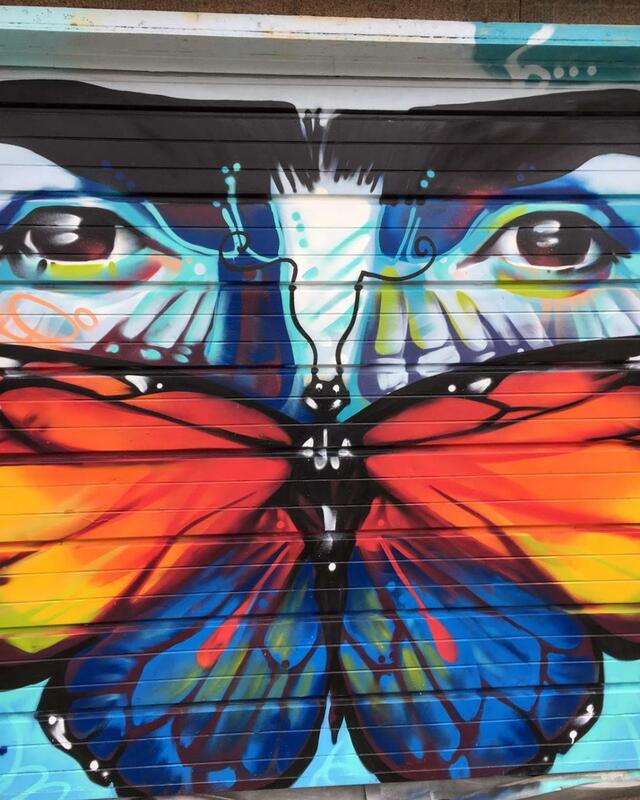 Those eyes are rather disconcerting yet the butterfly is just as powerful. Very cool. It’s giving us a message to take care of our butterflies, our mother nature. Yessiree! They are most important! And a lovely one each is, too! Very cool pics and love the doodles! Very striking butterflies and fabulous napkin art! 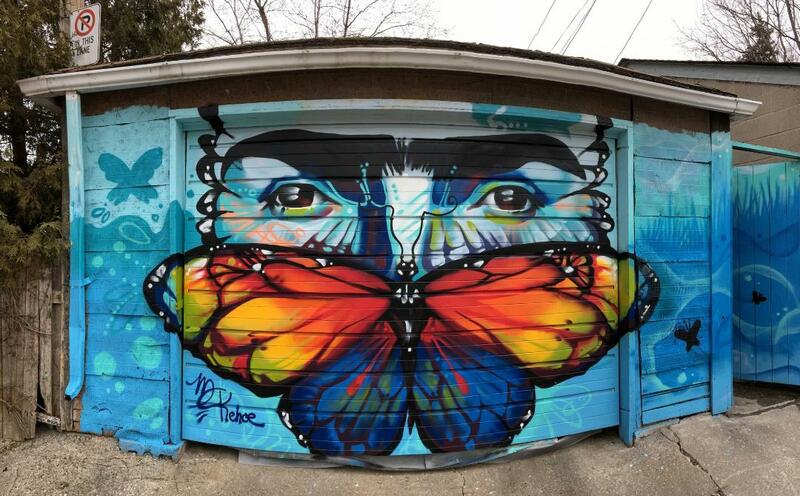 Beautiful art- on the garage and the napkins.